A rare find! The seller and her designer rebuilt the entire condo, even moved the kitchen! Not only is everything new, but of extraordinary quality. 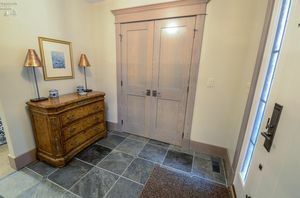 Entering through the custom, covered front porch, step into the foyer featuring a slate floor with pewter inlays. New Pella windows, millwork, wool carpeting & hard wood flooring. Amazing open first floor centers around kitchen with great attention to detail. 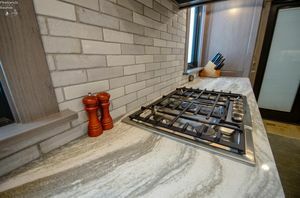 Cambria counter tops. Bosch appliances with a 5 burner gas range top, warming drawer, and wall of cabinetry. Every inch custom planned for convenience. Heated sun porch overlooks a great tranquil view. Coffered den has a lighted bar plus a convenient mail center. Three bedrooms upstairs with great storage. Huge master and double closets. Second floor laundry. 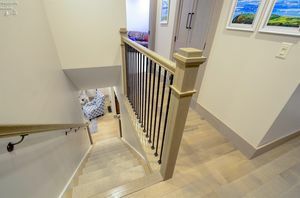 Lower level has 32'x13' family room, guest suite and storage area. New furnace, A/C, hot water tank, electric service panel, wiring and plumbing. Generous garage. Live life to the fullest in this amazing treehouse condo.